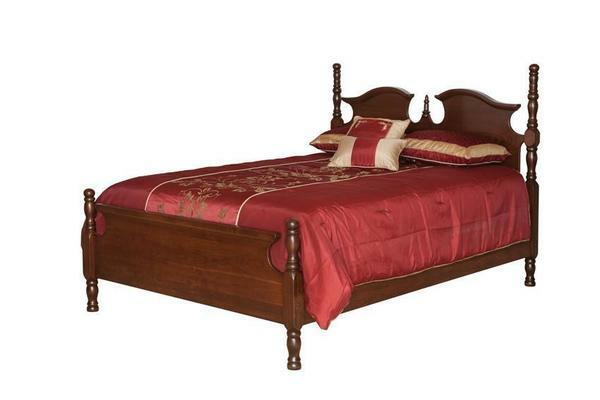 Welcome yourself to luxury living with our Amish Victorian Post Bed. This Amish made bed is available to you in a full, queen, or king size for your convenience. Add on a canopy to create an oasis in your suite. If you would like to know more about this handcrafted poster bed or our other Amish bedroom furniture, please give us a call today at our toll free number - 866-272-6773. *Note - Sideboards are 9" wide x 1" thick and a standard 9" from the floor.